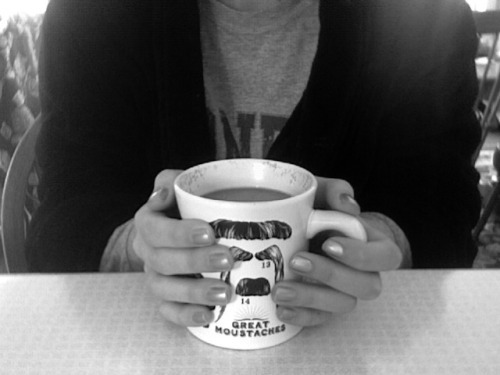 I have spent the past several hours at home, sipping coffee in my robe. I am not getting dressed or doing something productive for a very long time. isn't that mug great? I got it for my dad for his birthday. he's always had a mustache and will always have one. well, he's had one for as long as he physically could. I made it onto a 7 am bus yesterday morning and flew from Pittsburgh to DC to Burlington without a single delay or problem. It was basically some kind of Christmas miracle. is stress-free travel impossible for you? or are you able to smile your way through security and spend your flight napping?